The women who make it and the ones who don’t. “My name is Rahaf Mohammed. I’m 18 years old… They have my passport and tomorrow they will force me to go back…Please help me. They will kill me.” Rahaf Al Qunun. “I planned my escape…I planned it at dawn, paid for my tickets, left in the morning while my family slept and arrived at the airport.” Rahaf Al Qunun. “There was no going back for Rahaf now…I couldn’t live with myself if this was a real person and I didn’t do what I could to help her.” Author. “An official…has just knocked on the door and tried to get Rahaf to leave, she’s refused… they’ve tried all sorts of ways of enticing her out of the room.” Sophie McNeill, reporter. “They beat her. They taped her mouth shut. They bound her arms and legs together, and dragged her onto a plane kicking and screaming, and nobody did anything. This is a grown woman.” Author. “The Saudi state is active in exerting its diplomatic influence to try to interdict them.” Human rights investigator. “They are trying to reach the girls and speak to them to convince them to return back to Saudi.” Saudi woman in Australia. Sarah Ferguson is leaving the show later this year to move to Beijing, to take up the role of ABC’s China bureau chief. Anything on Tony Jones and Q&A? Their voices are persuasive, their emails insistent and they are proven to be remarkably successful at conning countless people into handing over their money. “West African cybercrime is the biggest threat that we see on the internet today. It eclipses all the other threats that we’ve seen that are financially motivated.” Cyber security investigator. “I’m a hired gun to help either large corporates or governments to get back what is rightfully theirs.” Asset recovery agent. “I think it’s been well understood for a number years that Australia has been a target location for hot money… We’ve seen that activity increase exponentially over the last number of years.” Financial crimes investigator. 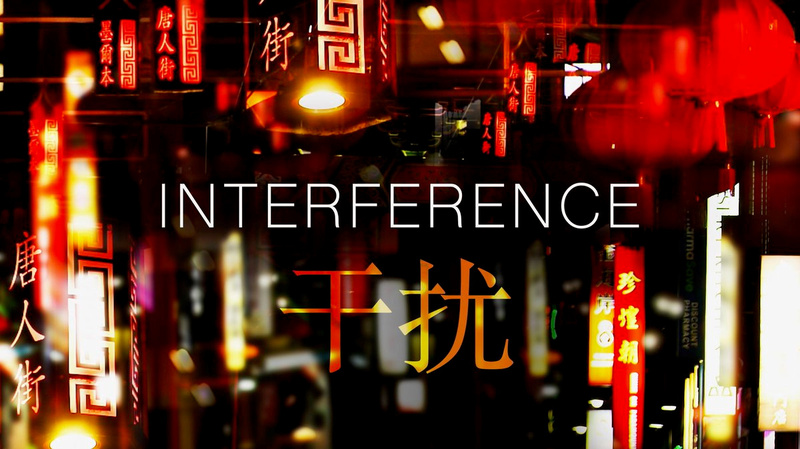 Chinese authorities want the money back, and they’ve sent a clear message to anyone who has broken their rules - we will find you and your money. “It seems as if there’s more than enough evidence that at least in jurisdictions like…Australia, the US and America, coercive tactics were used to force people back to China.” Transnational crime expert. “The mission is a recovery of funds that have been filtered from China to Australia.” Private investigator. A new breed of financial bounty hunters is on the case, and their target is Australian real estate. “There’s what we’re referring to as a cluster of properties… Most of them, or all of them waterfront, luxuriously appointed.” Security consultant. With exclusive access to these investigators, reporter Mark Willacy sees first hand the extraordinary lengths they are going to. “We can sell it and return the money back to China. Everyone’s happy…it’s a legal plan. There’s no drama.” Private investigator. With questions being asked about the legality of their actions and the reach of the Chinese state, it’s a high risk operation. “I think they have to tread carefully. One of the challenges they’ve got is that they need to walk a very, very narrow line.” Financial crimes investigator. For the recovery agents themselves, they believe they are onto a financial winner. “There’s a huge opportunity to develop and exploit this business channel, especially when it comes to Chinese money of dubious origin that has parked itself in Australia.” Asset recovery agent. Project Dragon, reported by Mark Willacy, goes to air on Monday 18th February at 8.30pm. It is replayed on Tuesday 19th February at 1.00pm and Wednesday 20th at 11.20pm. It can also be seen on ABC NEWS channel on Saturday at 8.10pm AEST, ABC iview and at abc.net.au/4corners. “We’re criminalising more women than ever before.” Prisoner rights activist. “I have been to prison five times… I have been to prison for break and enter, driving while disqualified, driving under the influence of ice and escape police custody.” Bekki. Bekki has just walked out of prison after serving a six-month jail sentence. The cameras are rolling as she takes her first steps. “It’s great to be out…I’ve got some underwear, some papers and $50 and that’s it.” Bekki. She’s part of a fast growing group of criminals sentenced to jail in Australia. Across the nation, there are now more women in prison than ever before. And once they’re out they’re very likely to reoffend and end up back inside. “I’ve been to prison four times. I was in prison for drug dealing. The hardest thing about staying out of prison is dealing with the isolation, the judgements, the stigma.” Fran. On Monday Four Corners investigates why so many women are going to jail by meeting three women who know exactly what it’s like. “Women’s prisons are filled with stories of people like me.” Bekki. Filmed over three months, Bekki, Fran and Donna give raw and compelling accounts of their lives as they begin again on the outside. “I need a job and I need a job fast. I am willing to do anything, you know, clean toilets if I have to. I don’t care.” Fran. Each one must overcome their own demons while convincing the world around them that they are worth another chance. “I have been to prison more than 30 times…The hardest thing for me to stay out of prison is being judged for my criminal history.” Donna. The vast majority of women who land in prison have been physically or sexually abused. Many have turned to drugs, and then a life of crime. Their chances of rehabilitation are made harder as they often struggle to find work, housing and support on the outside. “No one wants to employ you when there’s 100 other applicants that don’t have criminal records. So why would they want to employ you? Sometimes I feel like I’m just beating my head against a brick wall.” Fran. The camera captures the highs and lows as they search for accommodation and a job. “It would be lovely to be able to help her, she’s a person that is in housing need. It’s really sad and you know you want to help everybody [but] you can’t.” Emergency Housing co-ordinator. Despite their troubled histories, Bekki, Fran and Donna make progress. Their experiences give real insight into how to break the cycle. “It’s a whole new chapter in my life absolutely. Only good things come from here. I’ve got such a good feeling. I’ve got such a good feeling, there’s hope, it’s given me hope.” Fran. Criminalising Women, produced by Janine Cohen, goes to air on Monday 25th February at 8.30pm. It is replayed on Tuesday 26th February at 1.00pm and Wednesday 27th at 11.20pm. It can also be seen on ABC NEWS channel on Saturday at 8.10pm AEST, ABC iview and at abc.net.au/4corners. 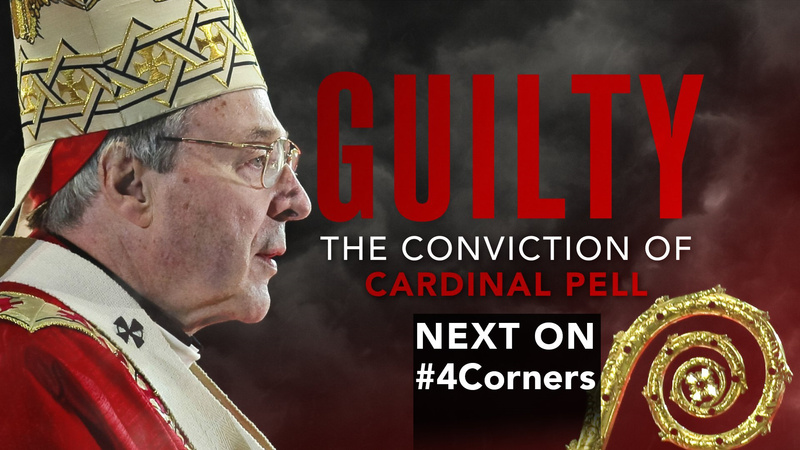 Guilty - the conviction of Cardinal Pell, reported by Louise Milligan, goes to air on Monday 4th March at 8.30pm. It is replayed on Tuesday 5thMarch at 1.00pm and Wednesday 6th at 11.20pm. It can also be seen on ABC NEWS channel on Saturday at 8.10pm AEST, ABC iview and atabc.net.au/4corners. Victoria’s director of public prosecutions, Kerri Judd QC, has written to as many as 50 individual publishers, editors, broadcasters, reporters and subeditors at the media giants News Corp Australia, Nine Entertainment, the ABC, Crikey and several smaller publications, accusing them of breaching a nationwide suppression order imposed during the case. Most Australians had probably never heard of Sheikh Mohammed bin Rashid Al Maktoum till his horse Cross Counter won the Melbourne Cup last year after a two-decade campaign. Now he’s in the headlines again, for a very different reason. Far from silencing her, Latifa’s capture and forced return to Dubai has focused world attention on the dark side of the gleaming desert metropolis. 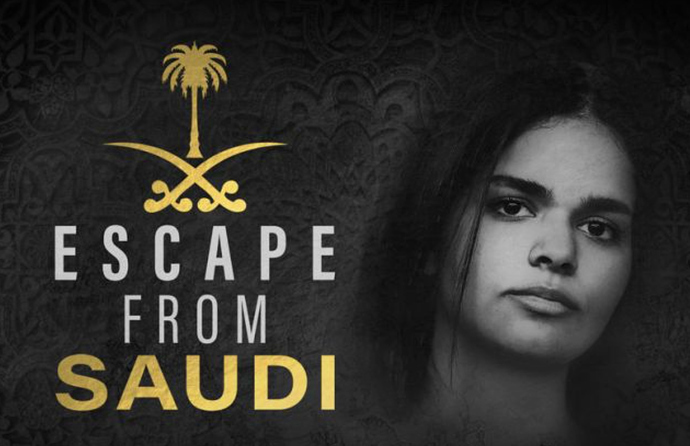 This gripping film from the BBC also investigates the story of Latifa’s sister Shamsa. She too was recaptured after going on the run in Britain. The program examines how Dubai’s ruler has been able to bring pressure to bear based on his country’s financial and defence ties. The mystery of the missing princess, from the BBC, goes to air on Monday 11th March at 8.30pm. It is replayed on Tuesday 12th March at 1.00pm and Wednesday 13th at 11.20pm. It can also be seen on ABC NEWS channel on Saturday at 8.10pm AEST, ABC iview and at abc.net.au/4corners. Uber is one of the most recognisable brands in the world. It’s embedded itself in our language and revolutionised the way we think about transport. Since emerging nine years ago on the streets of San Francisco, the edgy digital disruptor has upended an entire industry business model and made ride sharing cool. And Australians love it. On Monday Four Corners investigates how Uber has been outfoxing regulators and outmuscling its competitors in Australia and around the world. Uber is banking on selling a vision, way beyond ride sharing, to secure its future. Four Corners has been given access to the company’s global tech hub where engineers are working on everything from electric scooters to flying taxis, with several Australian cities on the shortlist for Uber Air. The Uber Story, reported by Sean Nicholls, goes to air on Monday 18th March at 8.30pm. It is replayed on Tuesday 19th March at 1.00pm and Wednesday 20th at 11.20pm. It can also be seen on ABC NEWS channel on Saturday at 8.10pm AEST, ABC iview and at abc.net.au/4corners. “Grafton is a monochrome, traditional, beautiful little country town. We now have… the distinction of having given the world a gentleman who’s turned out to be Australia’s worst mass murderer.” Grafton resident. “He’s made it clear by his own recording that he was driven by hatred of Muslims and by racist ideas, and he identifies as a white supremacist, although he may not be able to spell those words, but they’re the kind of cultural values that he’s tied himself.” Grafton resident. “I guess people don’t realise, there’s all these far-right groups out there.” Former right-wing extremist. “I’m aware that intelligence agencies have been monitoring these groups, but my concern is that what they’ve done is that they’ve tended to focus on Islamic terrorism at the expense of really paying enough attention to the extreme right.” Extremist researcher. Under the radar, reported by Sean Rubinsztein-Dunlop, goes to air on Monday 25th March at 8.30pm. It is replayed on Tuesday 26th March at 1.00pm and Wednesday 27th at 11.20pm. It can also be seen on ABC NEWS channel on Saturday at 8.10pm AEST, ABC iview and at abc.net.au/4corners. The struggle to reduce Australia’s greenhouse gas emissions. New evidence of China’s covert political influence campaign in Australia. 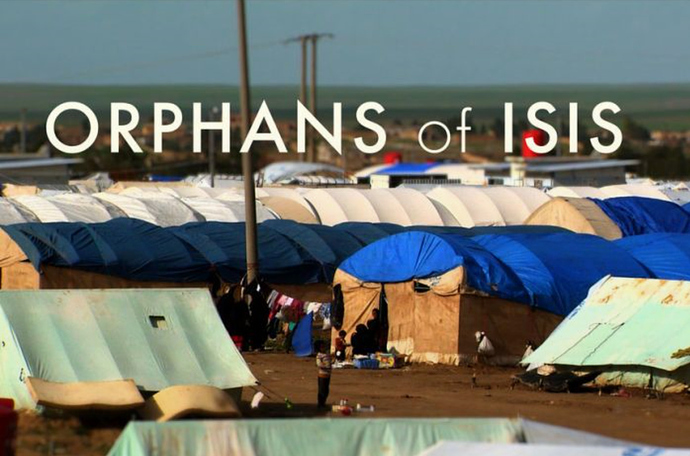 A grandmother’s desperate journey to rescue her children and bring them home. “Just because their last name is Sharrouf, [it] doesn’t mean they are monsters.” Karen Nettleton. The controversial police technique putting innocent people behind bars. The idea that anyone would willingly confess to a crime they didn’t commit sounds unbelievable, particularly when the punishment may be life in prison or even the death penalty. But a series of high-profile cases across America has revealed a slew of wrongful convictions based on false confessions and placed the spotlight on a widely used police interrogation technique designed to make people confess. The technique sees police officers wage psychological war on suspects through a nine step interrogation process. “If you let him talk, he’ll say the words, ‘I didn’t do it.’ And the more often a person says they didn’t do it, the more difficult it becomes for us to get a confession.” Interrogation training video. Wrongful conviction investigators say the process is a travesty of justice. One man, who spent almost his entire adult life in jail for a murder he didn’t commit, tells of how he was convinced to confess to a shocking crime. Another, locked up for two decades, say no amount of compensation can match what he has been through. “They could have offered me 100 million dollars. Would it give me comfort? Yes…but that doesn’t give me my years back.” Former prisoner. The families who fought to free them say they were badly let down by law enforcement. Lawyers warn that wrongful convictions will continue to occur without changes to the justice system. 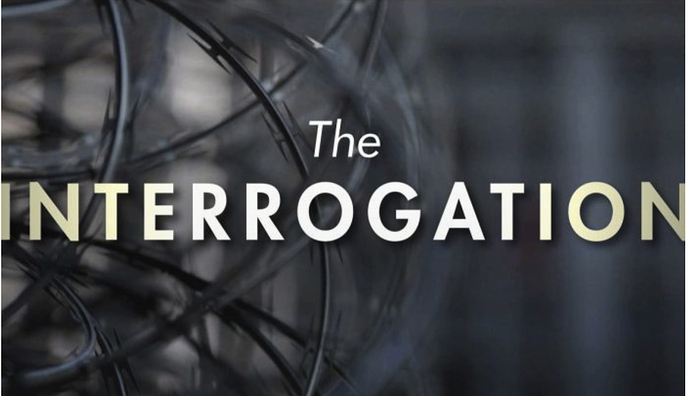 The Interrogation, a film by Laurent Richard for Premiere Lignes, goes to air on Monday 29th April at 8.30pm. It is replayed on Tuesday 30th April at 1.00pm and Wednesday 1st May at 11.20pm. It can also be seen on ABC NEWS channel on Saturday at 8.10pm AEST, ABC iview and at abc.net.au/4corners.